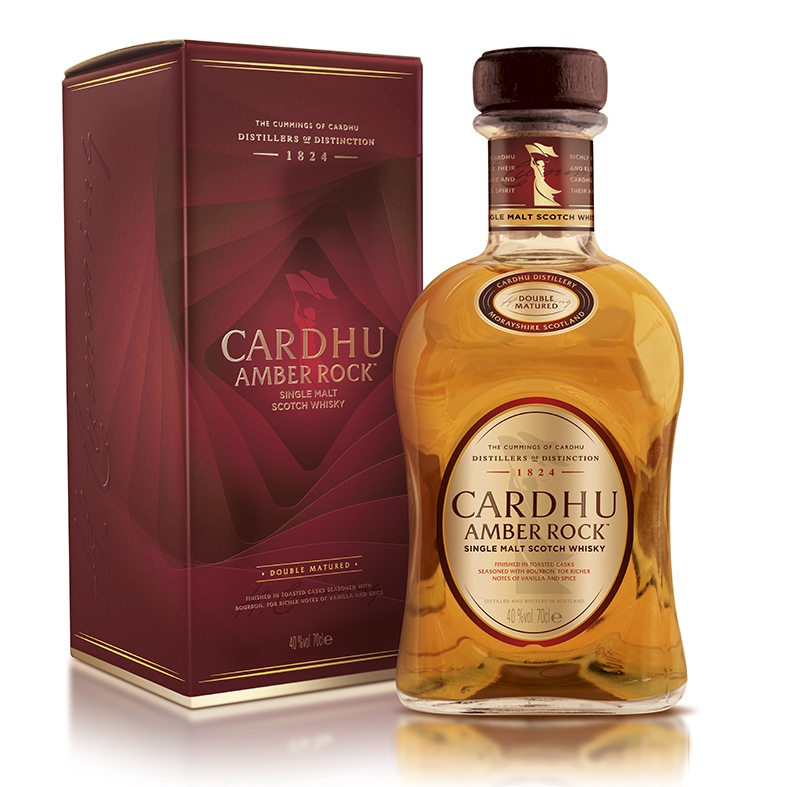 WhiskyIntelligence.com » Blog Archive » CARDHU™SPEYSIDE SINGLE MALT SCOTCH WHISKY LAUNCHES NEW “AMBER ROCK” EXPRESSION – Scotch Whisky News - whisky industry press releases, newsletters, events, tasting notes, bottlings and comments. Destined mainly for distribution through whisky specialist stores, CARDHU AMBER ROCK will be available in France and the Belgium from spring 2014, and more widely in Western Europe [UK, Switzerland, Spain, Portugal, Germany, Greece & Netherlands] from late summer onwards. The launch will be supported by in-store publicity, advertising and promotion through digital channels.